Worship Ministry will be conducting Course for Guitarists and Drummers. Guitar Classes will start from end of October (25 Oct) on every Saturday afternoon by Colin. Drum Classes will start from November on every Saturday afternoon by Wei Zhen. Place and Time will be announced when is confirm. We welcome everyone who has interest to serve in these area to join the classes . These are the 2 final sessions of our 3 years of worship study project. Over the years, we have covered quite a few aspects of our worship analysis. This concludes our topic on Worship and Culture. This is a further analysis of how to make our worship more contextual. Basically, this church attempts to interact further with the society as a community within its locality. By visiting the farms and factories and using summer school programs, they trace how the church community is part of the wider community in the place. When issues surface, like when a farm closes down, it fosters communication between the society and the church community. What we can learn from this is that the Church need community awareness of its locality. Jubilee Church needs to be aware of the community of the Tiong Bahru area, and perhaps become part of the voices of this place. This article is about how mission can be part of the voices in our worship. Missionaries and those involved in mission can add context and content to our message of worship. Linking this to the contextual message of the earlier discussion on community work, there needs to be a combined effort for mission, community work to be part of the content of our worship. let’s allow for more collaboration within our various ministries so that our worship can be enriched. This is a response to John Witvliet’s Afterword in Christian Worship Worldwide: Expanding Horizons, Deepening Practices. 1. The first point is that when deciding what is essential and non-essential in our worship practice, we might cause the transcultural elements override the contextual elements of our worship. 2. In the enthusiasm to learn from other cultures and making our worship more global, we might fail to connect with out own community. Thus the key to teach contexts and background before applying the foreign practices is very important. Direct application: When we tried to do the responsorial psalm singing of Ps 113 and 114, it was perhaps better that we teach the meaning of its practice first. 3. The final point is a caution against the shadow of cultural imperialism and that the work for contextualization is far from complete. Celeste shared on the work of spiritual gifts in our worship. When we change worship content, it is not just the style. Instead, we begin with our theological reflection. God is bigger than our consumeristic mind. our worship remains Christocentric, and our gifts is for witnessing. Our liturgy therefore must manifest this message. That the church is the creation of the Holy Spirit, and that it is a continuation of Christ’s victory. Ultimately, what draws more people to our service should be the people of God that reflects this belief. WanLeng shared on this new phenonmenon with us. And a list of new immigrants churches is given. We took some time to reflect on the Singapore situation of new migrants and the various churches’ response. We thank all for these years of participation. And this series of worship studies have come to a close. 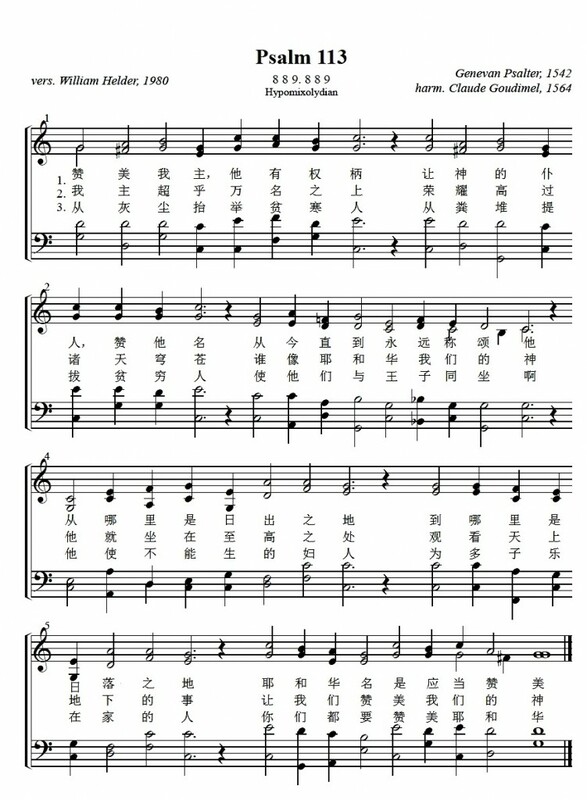 本文主要参考资源：Brink, Emily R. “The Genevan Psalter.” In Psalter Hymnal Handbook, edited by Emily R. Brink and Bert Polman, 28-39. Grand Rapids: CRC Publications, 1998. Joel R. Beeke, ed., Living for God’s Glory: An Introduction to Calvinism (Lake Mary, Fl: Reformation Trust Pub, 2008), 180. WanLeng continued the discussion on Worship and Culture with the topic of power-sharing in a multi-cultural environment. She reflected that the article doesn’t really shares why power-sharing is essential and presumes its necessity. Instead the article shares the methods of powersharing. 1. The first is a self-examination process. Are there different worship leaders on stage? Are there different languages reprresented? Is there awareness of different cultural practices during worship, such as different funeral practices for different races? 1. As long as the community is heard, token representations are not as important. Speaking of this, we reflected that the sessions in TaiZe had opened our awareness to the rich heritage we have in written prayers over the centuries. Such exposure would be highly beneficial to Chairpersons and those doing public prayers. We plan to schedule a training session for our Chairpersons soon. 3. Songs were used to share about all of life. Hymns were shared and indigenous music is used. Cathy highlighted the rich tradition of the Genevan Psalter. 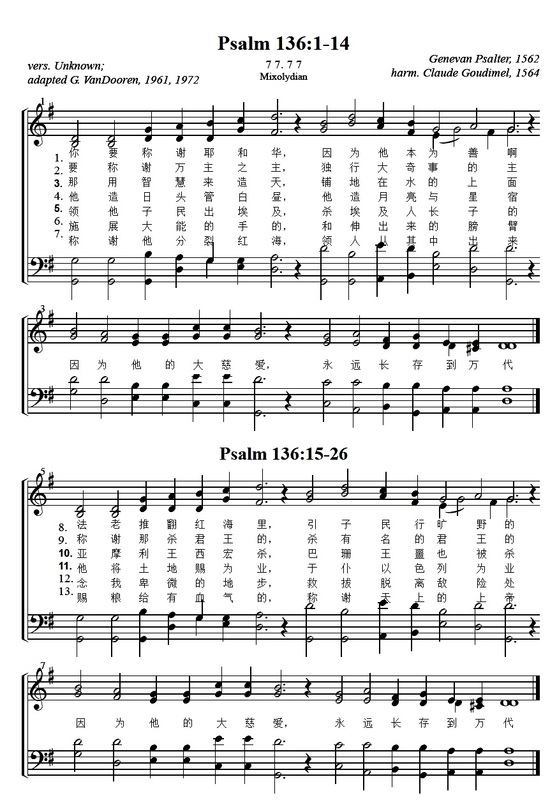 We WILL be attempting a Chinese translation of Psalm 124, 113 and 136 for our Choir this year. Worship should strike a healthy balance among four approaches or dimensions to its cultural context: worship is transcultural (some elements of worship are beyond culture), contextual (worship reflects the culture in which it is offered), cross-cultural (worship breaks barriers of culture through worship), and counter-cultural (worship resists the idolatries of its cultural context. This is a collection of verses which spells out the convictions on Christian Wisdom throughout history universally. It would be very helpful to share and proclaim them as a Church. 1. Let the people sing. Using simple songs, it is important to let the people express themselves fully. 2. Let the people accept the gift of difference. This is an educational aspect of worship, so that we learn to appreciate one another. 3. Oral Tradition. It is important to keep things simple so that it can be easily passed on. 4. Confidence in the people. Worship and be fun and meaningful when we let the people express themselves. The key to making changes in worship is getting people involved in the change making process. We ask people to pray for one another. We get leaders like elders to be involved in liturgy. When people are involved in the different aspects of worship, they are educated, and this can lead on to new talents. As a team, we agree that education would be one of the main task of the Church to look into. Global Perspectives on Worship – Presented at the 2006 Calvin Symposium on Worship. 1.What are the two most encouraging developments and 2.What are the two most challenges you see in your part of the world? Her relationship with WACCM has enabled her to visit Chinese Churches in Indonesia, Philippines, Australia, Malaysia, Singapore and Thailand. 1. Preaching is still pretty much the center of worship in most Chinese Evangelical Churches. They fail to see worship as an integrated whole but rather treating preaching as an isolated event. 2. Resources in China, lack systematic textbooks on all fields of theology including church music history. There are many resources in the West on Worship, liturgy and hymns yet lack translation. Need more workers to bridge those gaps. 3. Change of Pastors’ hearts. Pastors who work in the faster pace society such as Taiwan, Hong Kong and Singapore are frequently being pressurized to change the style of music. 4. Theological Education System in seminaries does not focus too much on the Liturgy and the art of Worship. In Angela Tam’s mind, a complete Church Music Program is an interdisciplinary work between Theology-Music-Liturgy. They cannot be separated. In the past, we see choir being a performer, organist being a program fitter, hymns being a fill-in blanks. 1. Youth hunger for the Word. Old Testament is generally quite connected with the New Testament. In the past, Scripture Reading is a subsidiary part to the Sermon (instead of being a central part). Reading of scripture is an unimportant thing. It is like a public relation thing, you assign a deacon, a famous deacon to read the bible. Now we are seeing youth, 12th grade to Pre-U students, after 2 hours of bible study are still willing to stay behind and have an interest to learn or to read the bible. This is very encouraging. 2. Good Sign; Church Musician becomes Liturgists. To be more liturgical minded than just musically minded. We are seeing more liturgical composers, composing for hymns, interludes, introductions, congregational songs, responses which are used to be despised; Liturgical Soloists, filling the Cantors’ role; Liturgical Conductors, not interested in showing off conducting skills, by to direct the choir to take up their liturgical role and lead the congregation in worship. 3. Hymnals moving away from only Western Hymns to include local composers. We are seeing more translations paying attention to the intervallic movements of the text. 4. Join effort of denomination, combining their efforts and skills, and people and resources to make better worship materials. 1. Rise of Praise and Worship, we speak of it as if it is a musical movement or stylistic movement, but it primarily is a theological movement because it is a way of understanding God, understanding ourselves, understanding the world and understanding the relationship among all these things. It put liturgy/worship back in the centre of the church, quite similar to the Orthodox Church. Praise of God’s people is the most important thing, the transformation happens through the praise. 1. Homogenizing, locality. Soft Rock, Pop. It is devastating in terms of “to the death of species that may never be again.” Take in as a wholesale with its theological boundaries and understanding could be countering the direction of the Scripture. Christianity is all about Incarnation. This persona might not represents the entire life/body of Christ. 1. The inclusion of joy and dance in worship. Hands clappers, kneelers, worship with candles. Reformed churches were the one who did it properly. In recent decades, there were changes. Impetus came from 1. African Institute of Churches. We need our culture to impact how we worship. OAIC’s visions are based on the values and resourcefulness of African grassroots communities (ubuntu). They are expressed in our songs, sermons, prayers and dancing. Transformed by the good news of Jesus Christ…. faith in God and the guidance of the Holy Spirit. 2. The Impact of Young People, not comfortable with the form of worship. 1960s. Church were filled with young people. 20-25 year old. Include them as part of decision making. Short songs/hymns. Main Line Churches search who we are? What constitute reform worship. Always reforming. 1. To what extend are we attending to the total human beings? 2. To what extend does our worship focus really on God’s Word and not simply as a time to dance and enjoy ourselves or escape but to enjoy God, to celebrate God, to hear God’s voice, to hear how God is challenging us, to continue to worship in the world, then there is something missing – A moment of being still, ambiguous. Location, Environment. Global: different streams of worship. Opportunity to embrace the diversity, grasp hold of it and allow it to be the center of worship. Western brings along their cultural baggage when spreading the gospel. Long enough to free away from Western influence and worship in their authentic ways. Transplanting, Grafting till rooted on the soil – Worship in spirit and in truth, within their own context. Keep a healthy tension between Local and Global. The Calvin Symposium on Worship is blessed by increasing numbers of global guests who come to worship and learn. In this session, we explore cultural and liturgical issues our brothers and sisters are addressing, especially in Africa and Asia – for example, intergenerational and multicultural worship; use of indigenous songs, instruments, and dance; use of technology; challenges of religious pluralism. We explore how God is building his church in ways that move us all closer to the unity we have in Christ even as we celebrate the gifts of cultural diversity. There are four lessons that we can learn about global worship. 1. Step outside yourself: Seeing your congregation as part of the worldwide body of Christ may require re-thinking how your worship relates to local culture. 2. Shift your lenses: Not everybody conforms to the stereotype of how we understand their background and culture. 3. Open your heart: Learn to emphatise with the difficulties that different people face and suffer in their own context. 4. Ask for help; embrace discomfort: Worshipping globally is a slow process, and we must learn to accept and change slowly. [先知的预言、各各他] Who is the man? We thank WeeBin from the Children’s Ministry for joining us in this discussion with a focus on the topic Children and the Liturgical Arts. This will also be the last Worship Study that is held together with the Worship Environment Committee. We thank them for their participation in this half year of sharing on the Liturgical Arts. Cathy began the discussion sharing about the use of drama in worship. Students need to really understand the scripture in order to write the script for drama. Using drama hence allows children to go in depth into scripture understanding. It is even better if the audience were included into the play. They are also made to think about what is going on. Secondly, Props may be used as metaphors for scriptural context. Worship that includes drama therefore integrates the entire environment into the worship experience. XinLiang shared on a method of incorporating children art into worship without it looking simplistic. Step 1: ask good questions. Step 2: Making sure that all chidlren have a part to play, even getting them to talk about one another’s art. Lastly, Project the images during worship. MinZhi shared on this unique method of getting children to celebrate Lent and Easter. Different types of cross were designed and made (see article). Children are then to reflect on the uniqueness of each design and ponder on its meaning. They eventually hang everything on a branch in the hall, followed by a hymn. We conclude that involving children in worship would be a great contribution to our vision of intergenerational worship. However, it involves lots of communication, engagement and feedback. We look forward to more opportunities to work in partnership with Children Ministry. A Festival of Lessons and Carols (Choral Score (SATB)). By Hal H. Hopson. This is the fifth meeting we have on the 6th Conviction “Disciplined creativity in the arts” under the ten core convictions of worship. This is in May 2011. This is a session to continue the focus on the interaction between Liturgical Arts and Technology. We continue with the discussion on the use of technology in liturgical arts, this time focusing on the use of projected images. WanLeng shared that images can be very powerful because it is more than seeing. A good image can awaken all five senses into the world of the image. So it is not a matter of How but Why. We can focus of the purpose of the image more than finding the most technologically difficult image. It is not showing and telling, but a dialogue between the congregation and God. Pictures can influence us deeply, perhaps even more than words. It is also inclusive since it is not language dependent. It is also important to remember that less is more. It is only a visual clue to draw us into the objective of the image. 1. Is technology only a lousy replacement? It is often more realistic to use flesh and blood than to use technology which can be cold and passive. 2. Some argue that technology is here to stay. But others say that we only have to accommodate only to a certain degree because they church should have its voice on its use and impact. 3. As for liturgical arts, it is about balance of the sound-scape and the landscape in our use of technology. We use it not for the sake of it but with an awareness that there should be a resonance with the people. This is the fourth meeting we have on the 6th Conviction “Disciplined creativity in the arts” under the ten core convictions of worship. This is in April 2011. This is a session to focus on the interaction between Liturgical Arts and Technology. Cathy starts the sharing with this article about the purpose of technology. it is not just a tool to attract young people. It is good liturgy that attracts young people. Technology is a tool that help people to connect images to concepts, to contemplate and to reflect. A suggestion is to set up a network of church photographers to collect local photos for church presentations. Weizhen continues the discussion with a sharing on Photography in Liturgical Arts. There is more to a picture than just an image. People can relate to it with all kinds of responses. This builds a story of the community with the story of God. Through a photo collection of the church, it forms a visual link between the people serving in the ministries to the regular church member. Action Plan: Junpei of the Church environment committee will set up a network of photographers within the church environment committee. They can provide “local” images for use in powerpoints and art designs in Jubilee. Action Plan: To set up a Reminiscence stairwell along the bell tower of Jubilee. Contributions from all church members can relate about the history of Jubilee, and it can be a collective testimony of the grace of God upon this church. We propose a 3 month window for contributions, after which a “curator” will design the Reminiscence stairwell based on the collection we receive. This is the third meeting we have on the 6th Conviction “Disciplined creativity in the arts” under the ten core convictions of worship. This is in March 2011. This is a session to focus on the interaction between Liturgical Arts and Architecture. Cathy shared from the article that the interior and exterior design of the church can affect how people interact with other fellow-church members. e.g. Flexible space (made possible by movable furniture) that enables people to sit in a half or full round and to see each other during communion or particular seasons of the Christian church year reminds church members that they are a community. Church building is theology in stone. It is an expression of the mission, faith, and beliefs of the church. For example, a church added 14 skylights and by shifting patterns of natural light play across the cross and communion area, reminding people that God is always at work in their lives. DingJun starts by stating that church architecture is a testimony of our adoration of God. It is also the visible presence of God to church members. He then shared on the influences that have affected church architecture in the twentieth century. These include the ecumenical movement, the liturgical renewal movement and the modern architectural movement. Thus churches display mutual respect for one another, giving a more unified yet diverse outlook. They engage passionate worshippers and encourage congregational participation and contribution from the Arts. Lastly, the reflect the spirit of the age, which is minimalistic and pragmatic. Action Plan: In view of the sharings from Cathy and Dingjun, we decide to start on a plan to uncover the thought behind the design on our current church. Though it is obviously influenced by minimalism, we believe more would be revealed if we were to search through the old records when design is being discussed for the current building. PeiSong and Xiaohui then shared on how theology of the sacraments influence how we do interior design of the sanctuary. Our conclusion is that our theology is somewhat different from the articles’, though it was a good time to think about what we do what we do. We do however need to educate the church members more on such matters and let them appreciate our design and the theology behind it. Action Plan: MinZhi will continue to work on the long term goals and vision of Jubilee in five years’ time. Besides the investigation into our current design, we could also include some immediate remedies like road signs and information banners. A breakfast area at the multi-purpose hall is also proposed. Other ideas include a churchwide Liturgical Art event and even a worship session through the Arts. This is the second meeting we have on the 6th Conviction “Disciplined creativity in the arts” under the ten core convictions of worship. This is in Feb 2011. The 6th Conviction is defined as follows: Worship is enriched by artistic creativity in many genres and media, not as ends to themselves or as open-ended individual inspirations, but all disciplined by the nature of worship as a prophetic and priestly activity. MinZhi starts off the session by talking about the social problems that might arise in designing Art in church. The problem arises firstly because it is a collaboration. Yet, do we see the church as the universal body of Christ or as a local gathering of Christians? The theology of the church will shape the level of accommodation and compromise that enters into the artwork. The second issue arises from the Art system itself. Should it be representative or abstract? Should it be Art influencing the church or vice versa? Cathy continue the discussion with the article about what is Christian Taste. To ensure that the team of artist can work together well and produce good work, there are four important steps. We must get people to engage themselves in the discussion. Learn “teeth without fangs”. There are 4 major pitfalls to avoid. Artwork that is merely artistic, merely religious, intolerant of others, or indiscriminate in nature. e.g. It is only one perspective? Is it profound enough such that we can grow into, and not grow out of? Why should we do it? The work must fit the flow of the service, good use of tone, and address cross-cultural context. Overall, the culture should be non-elitist (it should not be insistent on certain forms), have multiple forms, it should be okay to explain or (inversely) to criticize. AiLian shares with us from the article that Art tells us what God has done for us. They should be a vessel that points us to the creator. There are 4 points to note. a. We should see ourselves in the gospel story. c. We can also recover the riches of symbols. One of the most oft-quoted phrases of the Second Vatican Council is “full, conscious, and active participation. Many if not most Christian denominations are struggling between contemporary vs. traditional worship style battles. “Active” participation inclusion of the attitudes and silence in this list of active worship elements. First, let’s attend to attitude. Sometimes we are not aware how our attitude affects others: if I am bored; if I am angry; if I am enthusiastic,; if I am grateful,; if I am filled with praise; if I am genuinely concerned for others when I make intercession; if I am committed to being there. All this makes a difference not only by affecting others’ participation ability, but it also affects how we are as the church, the body of Christ. Second, let’s attend to silence. We might think of silence as a time to do nothing, to vegetate. Silence included with elements of active participation suggests otherwise. In the silence something is to happenactively. Silence, in other words, is a time to do something (pray, contemplate, encounter) and to be someone (creature still before the Creator). Ironically, the moments of silence which we build into our worship services may well become the most engaging, active participation! “Active” participation challenges us to get involved, be engaged, do the worship service. “Conscious” participation. As the word “conscious” implies, we are speaking here of awareness, of deliberate effort. In fact, in the very call to worship we are invited to gather and present ourselves before the Lord-ultimately to say yes to the divine activity in which we are about to engage ourselves. “Conscious” participation requires of us a surrender of ourselves to the worship event. “Full” participation. Active engagement and conscious surrender both take us beyond ourselves. Full participation, then, has to do with how God transforms us through the worship event into being more perfect members of the body of Christ. Worship involves a bi-directional giving. We give God ourselves in praise and thanks; God gives us Godself as a share in divine life which transforms us into an ever-deepening identity as children of God. WanLeng reminds us from the article that what is visual speaks to us even more than words. There are 3 elements to embodied preaching. 1. God to us (We must breath life into the reading of the text, with gestures and body language. Use the space.). 2. Us to God 3. Us to each other (we express our praise to God to others around us). We end with a discussion of our current worship environment. Our assessment is that the current environment is unfocused, disjointed and messy. A lot needs to be done for people to navigate easily and know the movement of the church. Some of the places are also bare and unfriendly. The Auditorium setting is the most conducive for worship. With all these in mind, our action plan is to invite MinZhi to draft out the long term goals of the worship environment committee. This is the first meeting we have on the 6th Conviction “Disciplined creativity in the arts” under the ten core convictions of worship. This is in January 2011. We are glad that we have the worship environment committee to join us for this half year of worship study. It is a chance for fellowship, but also an opportunity for equipping for this much neglected area of worship. The first 2 sessions of this worship study will focus on the theological and practical aspects of liturgical arts in worship. Cathy and Celeste starts off by sharing on what does liturgical arts entail. In Cathy’s article, liturgical arts can come in many forms. a. Wind-chimes silenced by a covering cloth to symbolize time in the wilderness. b. A collection of miniature lighthouses. c. Many pieces of clothes weaved together. d. A dove shaped kite flown during the procession to symbolize the HS. An artist should be a calling. Art is a process, a discovery. You need the skills as much as the theological understanding. 1. Fit the theme. 2. Consider all corners. 3. Think theological not convenience. 4. Books can help. 5. Think practical. 6. Call on many gifts, e.g. an electrician. 6. Pay the labor. 7. Involve children. Give ample lead time. “Don’t follow the budget while trying to honor the Spirit. Follow the Spirit and try to honor the budget. 1. Make sure the team you form is diverse. In starting the process of liturgical arts, first look at old things that needs to be replaced, then look at new thing. Whichever the case, the art should amplify one another instead of competing for attention. XingLiang’s article focus on the inclusiveness to the elderly. Firstly, it is to recognize that we all have the image of God. We are baptized into one body. Secondly, the elderly has much to offer in the giving of their history, the passing down of tradition and the sharing of their life experiences. Thirdly, we have to be considerate to them. We must think about what they can participate in. Wanling’s article is about making worship inter-generational. Firstly, we must engage the kids while they are still young and interested. Sermons can use references that is related to them. Secondly, we must come to the realization that all ages can serve all ministry. Thirdly, the service can be more visual. YouFen’s article is about making worship children friendly. Firstly, it is on children sermon. Liturgy should explain why we do what we do. Secondly, each family should prepare themselves on saturday night. Third is about children hymnals so that children can get use to reading hymnals. Fourth is about spiritual parenting. Fifth is about children prayer. 1. Can we have a short combined service? Perhaps CNY service? 2. Discuss with children ministry on planning the children’s sat nights. Celeste followed on the same theme with her related article. Firstly, it is about sermons that can engage all ages. Secondly, Find ways to include children in liturgy. Third, It is about educating the congregation. 1. Give the kids a role in worship. This idea was immediately implemented in the form of candle lighting acolytes in the Advent season. Cathy’s article is on the role of Children choir. The article itself places great emphasis on the spiritual formation role of children choir. However, Cathy feels that the role of a choir is different for different contexts. We then discussed the role of children choir in the Jubilee context. Siow Hwee explained how children choir is actually children worship education. 1. How to get the congregation to understand that it is worship and not a performance. 1. Formed a core team to work on developing the Jubilee worship ministry through study and pragmatic execution. 2. Set up the worship resource room. 3. Developed a worship plan for the next year. 4. Developed an evaluation system. 1. To fully utilise the resource room. We began with the focus on Hospitality as Peace and Justice for this month. Hospitality goes beyond greeting new comers. Hospitality is basically saying that everybody must feel welcomed into the worshiping community. This is the essence of the gospel. That everybody should not feel despair about God passing him by. This is especially so for the marginalised. Therefore, we must show hospitality because that is the good news. Without hospitality, there is no gospel. Without gospel, there is no church. We begin with the focus on peace and justice because the good news must reach the marginalized that this gospel for for them too. Cathy shared from Christine Pohl’s article. It includes qualities of welcoming places, gestures and people. a. Places must be comfortable, celebrate life and encourage conversation. c. Welcoming hosts include simplistic lifestyle, being vulnerable, comfortable with suffering and being non pragmatic in approach. Youfen shared on how people who are single and married can be hospitable to one another. a. Welcome others as Christ welcomes you. b. Include single people and married people in your events. XingLiang shared about those who are gifted in hospitality. a. They focus on the needs of others first. WanLeng shared on the why Hospitality is a necessity in our worship. It is the desire and glory of God. So when we truly experience God, we shared god to the outside world. Cathy shared with us the importance of hospitality in a church. Hospitality is a virtues that will lead on to other virtues. It is anticipating people with need who come into the community. It is the creation of free space so that change and transformation may occur. It is suspending judgment and reducing strangeness between people. a. The importance is to realize that hospitality is not just for outsiders and also for the community itself. Education therefore is key in promiting this awareness in the church congregation. Xiaohui will lead the chairpersons of the services in making this community hospitality explicit within every Sunday service. b. Cathy will link up with Pastor NaiHwei in equipping our volunteers in the welcoming teams of both services. PeiSong highlighted to us the need for good planning for the in between words we use during a worship service. There is always the danger of gaffe. a. We will do a video recording of one of our services, and do a critique of the in between words of that service. Peisong can you plan for this? Celeste spoke on what is worship. It is praise, corporate and service. Praise should reflect God’s glory, trinity. Worship should also be Formative. This means that we may not understand it fully, but it will form our theology over time. a. This education is done in every week’s liturgy but it needs to be way more explicit. Xiaohui will ensure that proper equipping of the chairpersons in done so that they may do this education more explicitly. WeiZhen continued our previous discussion on the Worship Diet in the January Worship Study. The lesson from the philosophy that “you are what you sing” is that we need to discern what we want for our health. Music has the ability to carry messages and convey moods and it is vital that we continue a good balance of what we provide our people. This also includes an education element in getting our people well fed in music education. Weizhen and Celeste will continue to monitor our music exposure and ensure that our congregation are well informed on the huge variety of Christian music. WanLing shared on the Top Ten challenges faced by the worship leaders in the article. Overall sentiments is that the challenges of Jubilee is somewhat different. a. In view that all sub-ministries will be meeting up to discuss on the checklist to be done in our previous worship study, we will also include this in our subsequent meet-up. Each sub comm should also take time to discuss what they think are their top challenges, and these will be shared in our next meeting in July. Siow Hwee shared on the model of a pastor for those serving in the worship ministry. We often think of ourselves as a performer or coordinator or spiritual engineer. But the model of a pastor allows us to discern our worship content, serve with a pastoral heart and with an infectious joy. Cathy shared on the idea of using cue cards as a reminder of what is important before we serve. Our team decided that these cue cards would serve an important function like a checklist. We can remind ourselves of certain key points when we perform and also spiritual things to remember. Both the articles tells us that to develop what is fresh and authentic, we need to have a close relationship with God. Only then, we will learn fresh thing about God all the time and relate to God honestly. This is an interesting article because the emphasis is not on “what to do” to prepare ourselves. Rather, a good spiritual preparation is a good and healthy theology of God. Minzhi shared from the article the many tensions that must be balanced in a worship of a church. The tensions include transcendence/ immanence, intellectual/ emotional, vertical/ horizontal, planned/ spontaneity, liturgical/ contemporary, excellence/ authenticity, individual/ corporate etc. Our team debate on the merit of having a good balance in these tensions. A copy of the guidelines on Presbyterian worship is distributed. This will be the boundaries of our worship discussions and explorations as we collaborate in our worship planning together. Cathy distributed 7 models of worship evaluation. We will be testing them out in the next few weeks and Siow Hwee will drafting one our based on the comments from email. Peisong and Celeste spoke about the history of the emerging churches. General sentiments are that Jubilee has been emerging for some time, especially in the area of worship reform. We spoke about the changes of Jubilee over the years and our overall consensus seems to be that we are on the right track and we must continue to forge ahead while keeping to our roots. We also spoke about resistance to changes and how incremental changes make acceptance easier. WanLing shared about the history of Blended Worship that began with the worship wars in the early days between traditional and contemporary. This is another area whereby Jubilee is slightly spared from the conflict. We try to look beyond the battlefronts, and we apply what is good from every generation. It is about substance, not form. 1. We seems to know what we want and what we are doing, so Jubilee is progressing well without too much conflict. The next key step is education and getting everybody into the picture. We will tentatively set 27th of March as the equipping day where everybody involved in worship ministry in one way or another will get together to learn about the plans for the next liturgical year. All sub-ministry heads will be in charge of mobilisation. Siow Hwee, Cathy and YouFen will be in charge of training. YuFen first spoke about the different types of prayers in a liturgy. Then on the different methods of prayer. Lastly she spoke on some ideas of how to sing prayers and write prayers. 1. This is an important part of the evaluations. We will make sure that our prayers in the liturgy fulfill their roles within the liturgy. 2. We should include children prayers, classic prayers and specially written prayers into our liturgy. We can try this out when the children choir serves and when there is holy communion. Weizhen shared about the strengths of drumming, which brings equality in culture, gender and people with special needs. She also shared some ideas of drumming with scripture reading and playing different cultural rhythms. 1. For special readings: worth a try. The worship study for January 2010 was a great success for a first trial. Cathy, XinLiang, Minzhi and I presented our assignments. These are my brief summary and action plan. I presented on the book “Designing Worship Together”. Basically it is a book that chronicles what is worship planning over the decades and how it has evolved into a collaboration effort in recent times. Worship planning has moved from the “just plug in hymns” mentality into a one united message for the entire service. This calls for more co-laboring from every quarters. This mass involvement will reduce the disconnect between worship planners and worshipers and it prevents burnout. But more opinions being involved in the planning also entail more friction between personalities in the planning process. This can be resolved more amicably with proper parameters for worship and maintaining love and respect for one another. 1. We will use the Presbyterian framework for worship as our basic parameters in worship planning. A copy of this will be distributed in our next meeting. 2. We have decided to start using this collaborative effort from the next liturgical year. Meaning that it will start from end-November 2010 Advent season. This means also that we must have a basic skeleton of the next liturgical year by June 2010 so that the rest of the worship ministry can collaborate in planning for all the services with worship songs, choir presentations, etc. 3. Xiaohui will be in charge of getting the pastoral team to decide on the themes and events of the next liturgical year as soon as possible. 4. We will also hold a worship planning education workshop somewhere in the March Holidays. 1. Worship planning should begin with a scripture text and worship planners should involve in textual study. This is why the skeleton for the next liturgical year will be the first item that must be completed for the planning. 2. Maintain a balanced song diet. We will do a song diet evaluation at the end of the planning so that we have a balanced distribution of song types throughout the year like contemplative, exuberant, simple or challenging. Cathy will prepare a few evaluation models for us to choose from in the next meeting, and we will decide on the best way we can evaluate our weekly worship. Vincent (XinLiang) shared on the worship planners’ bookshelf. That is how the Calvin’s Institute organize their worship resources. 1. We have decided to use the Philippians room as our worship resource room. We will gather all the worship resources that we currently have (except the online resource) and we will organize them properly in the Philippians room. This includes the CDs, hymnals, books on worship, sermon recordings, scores, etc. 2. 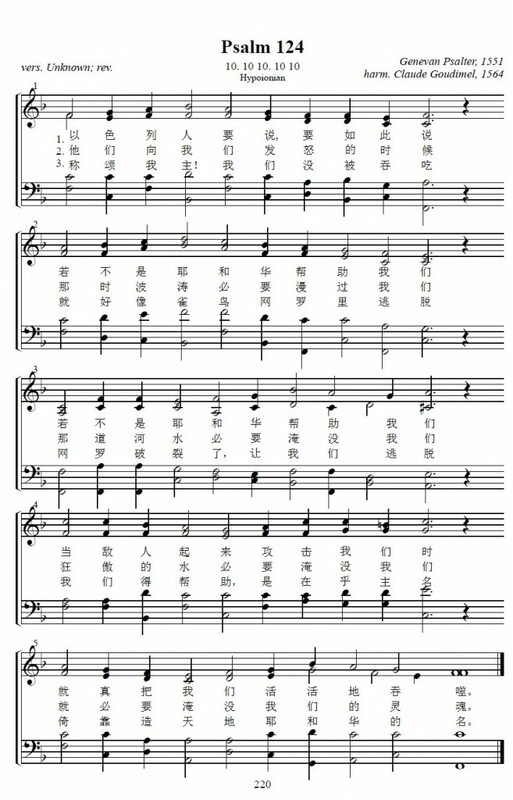 We will do the first hardwork on this on the June worship study session. all 10 members of the worship study group, together with all the PA guys and gals from both services will come together on a June Sat to get this first step done. 3. Vincent will be the Resources I/C and he and his PA team will spend 1-2 years in turning the entire resource into a proper database for easy usage for every worship planner. MinZhi shared on the importance of visuals for worship. A few food for thoughts. 1. How can we let the congregation feel involved in the worship instead of merely a spectator when our planning (including visuals) become more and more complex? 2. Will there be a false expectation for the fanciful if we always go for elaborate settings for the big occasions? 3. Even if some members of the congregation feel that they have contributed artistically, it is still a personal, subjective expression unknown to others. The question is: So what?